The Tru-Fit graphic replacement makes it easy to refresh your existing display with a brand new design and presentation. The Tru-Fit graphics are printed on a high resolution Quick-Zip tension fabric dye sub, and stitched ready to go with a zipper that will fasten and secure your graphic around your existing frame. 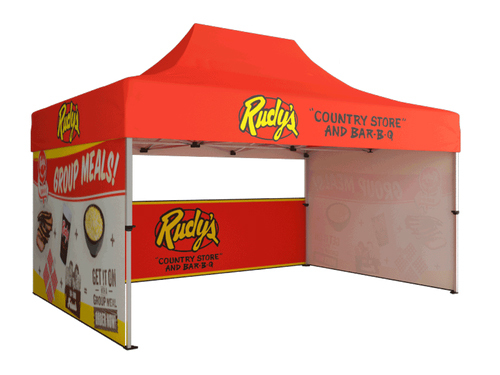 Whether you need to rejuvenate your company's offering, or if you just need another set of graphics for a different trade show to attach a secondary demographic, the Tru-Fit reprint makes it easy to quickly and effectively change up your approach. Simply submit the artwork in the correct specs, and we will print and ship a new set of graphics for you within days.